TAMPA, Fla. – This week, more than 50 players and staff from the Tampa Bay Buccaneers will participate in the NFL’s My Cause, My Cleats campaign, a league-wide initiative that offers players the opportunity to promote charitable causes that are important to them through creative cleat designs. When the Buccaneers host the Carolina Panthers at Raymond James Stadium on Sunday, the players will showcase a wide variety of colors and designs supporting nearly 50 different charitable organizations throughout the country. Participating Buccaneers will view their cleats for the very first time during today’s open locker room media availability, beginning at noon at AdventHealth Training Center. “I was able to build a lifelong friendship through Best Buddies and want to encourage others to get involved and form meaningful connections with those who have intellectual disabilities,” says Godwin. 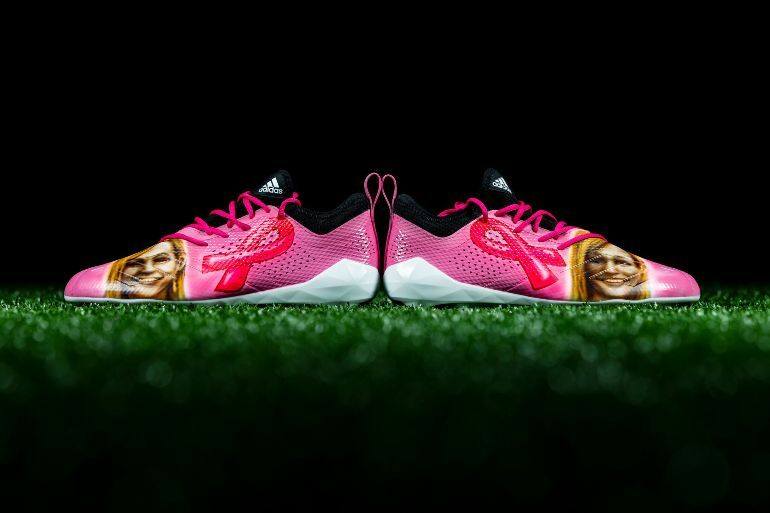 On Sunday, Buccaneers Head Coach Dirk Koetter will be wearing specially-designed sneakers to raise awareness for the National Multiple Sclerosis Society, for which Koetter has pledged $5,000. Also supporting causes in which they are passionate about are General Manager Jason Licht, Director of Player Personnel John Spytek and Director of Football Administration Mike Greenberg, who will be sporting sneakers in support of the National CMV Foundation. Spytek co-founded the National CMV Foundation with his wife, Kristen, in honor of their daughter, Evelyn Grace, who passed away from CMV in 2014. Offensive linemen Ali Marpet and Alex Cappa will also be wearing cleats to raise awareness of CMV. Beginning this week, players will start sharing images and the stories behind their custom designs using the hashtag #MyCauseMyCleats. Fans may visit the team’s website at Buccaneers.com/MyCauseMyCleats for exclusive My Cause, My Cleats images and videos, with new content being added each day leading up to Sunday’s game. For games during Weeks 13-15, each NFL team will designate one home game as their My Cause, My Cleats game. More than 800 players throughout the NFL are planning to showcase their causes on-field during My Cause, My Cleats games. The themes players have chosen represent hundreds of different charitable organizations, from ones that focus on bullying prevention to those that work with autistic youth to those that showcase military appreciation. To help produce this year’s cleats, the Tampa Bay Buccaneers worked predominantly with local artist Jason Hulfish as well as Miami-based SolesbySir and Joe V Designs out of Ludlow, MA. NFL players have the opportunity to raise funds for the causes of their choosing by auctioning their cleats at NFL Auction; 100% of funds raised will be donated to charities selected by players. Fans may bid on game-issued player cleats at NFL.com/Auction and help players raise funds for their chosen causes. In addition, fans can visit www.nfl.com/mycausemycleats to learn more about each player’s chosen cause.